We went to Coastal Provisions for the very first time. The food quality was outstanding. Our server, Alex, was outstanding , attending to our every wish. One of the best overall experiences in a restaurant in the Outer Banks of NC. *** rating! The rockfish special was the best that I ever had. They also had an amazing wine list. Comfortable atmosphere and fabulous oysters. 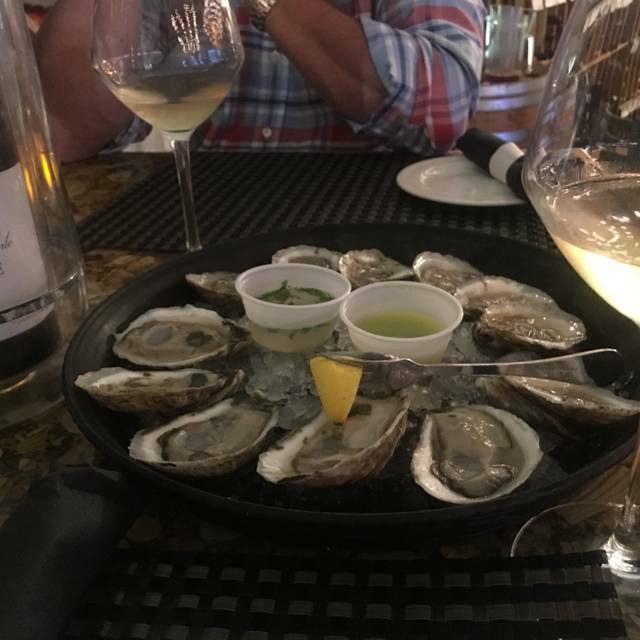 Followed recommendations from server and had wonderful selection of oysters and wine. Also purchased take home OBX clam chowder, Hugh recommend as well! Coastal Provision never disappoints. One of our favorite restaurants in the OBX. The food was very good. 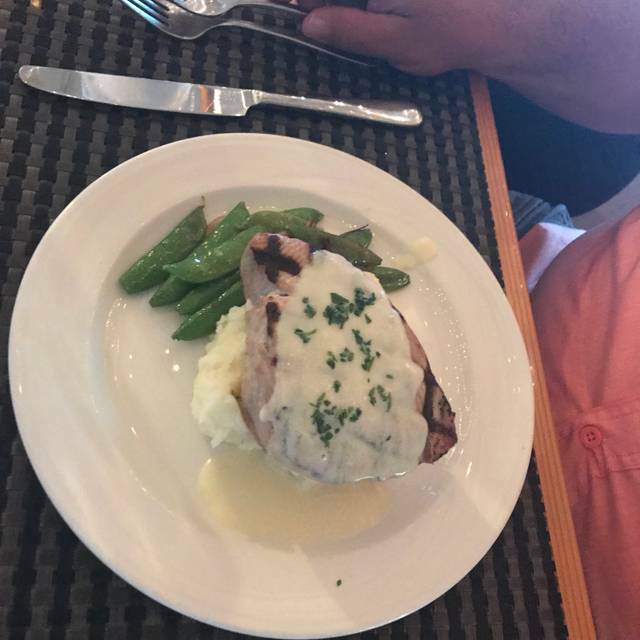 We had grilled Wahoo that was cooked to perfection. Could not give 5 stars this time due to noise level and slower than normal service as there was a party of 15 that took priority. Great service tonight as compared with some of our previous visits. 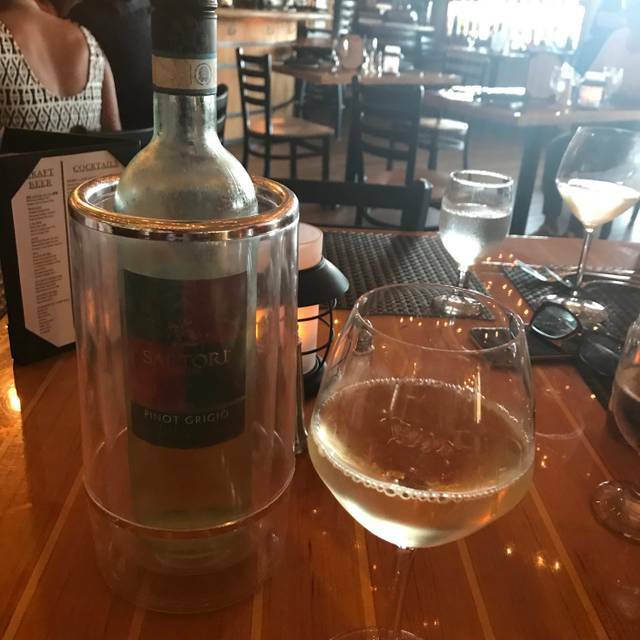 Loved the server’s wine recommendation. We ordered the Rockfish and the Monkfish and shared them. Both were excellent. We went for New Years. The food, wine, and service were amazing!!!! Very memorable experience. 5pm New Years Eve dinner for 9 was perfect. Despite pre-fix dinner, they were gracious enough to adjust a menu item for us when I called in advance. As well as dealing with a tough allergy issue (garlic). The food was amazing, every one loved it. Service was great. We loved being able to pick a wine bottle from store after being helped on selection. Great wine. Also have full bar. Good menu, lots of choices. Fresh raw oysters from throughout the east coast. Service was excellent. 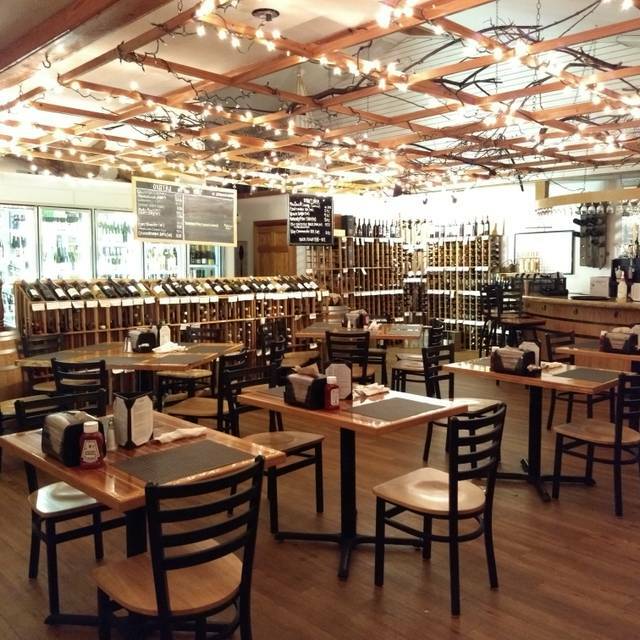 You can buy bottles of wine in their market and drink it at dinner without a corkage fee. The best oysters we have ever had!! Everything was so very fresh! Service was excellent. Highly recommend, this is a gem! 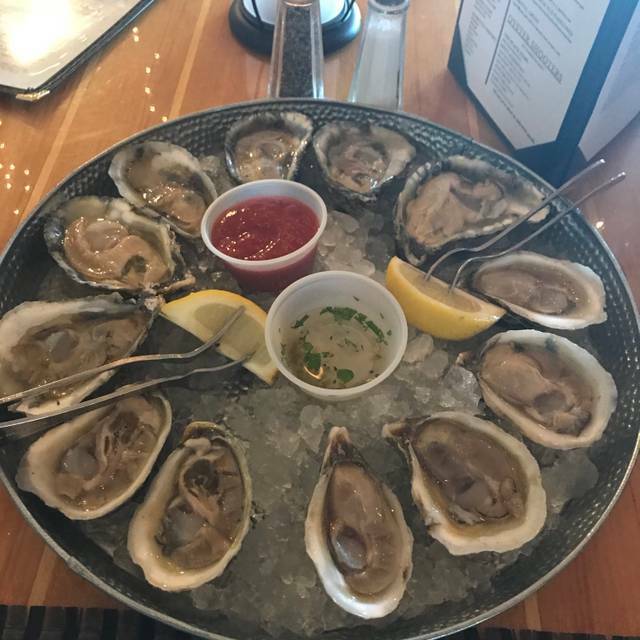 Went for half-priced oyster Wednesday. Asked for complimentary bread but was charged for 4 bread. However, service was great that we overlooked it. Not the first time we have been charged for something we did not get. Will be more watchful when paying in the future. A local treasure! Try their great selections of oysters on the half shell. 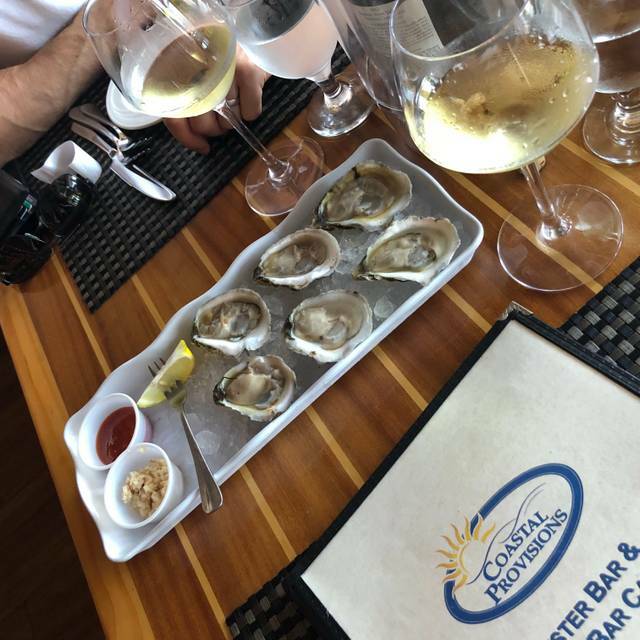 Coastal Provisions is a favorite go-to for us anytime. It has absolutely delicious food that is on the lighter side, and it’s very reasonably priced. The outdoor dining is quite nice in warm weather months. Overall—a winner. We enjoyed a friends get together at Coastal Provisions with an excellent server: Brian. We took advantage of the wonderful specials that night: fresh heirlooms with balsamic and basil and steamed crab legs. We also enjoyed an oyster sampler from local oysters and cold water oysters, all were briny and silky. The clams and triple B salads were very good as well. We chose to enjoy a seasonal fall dessert of pumpkin cheese cake which completed our meal deliciously! Thank you! They went over and above to make our 30th wedding anniversary a special night. Good food, good wine, good music, very friendly staff. Great seafood, outstanding wine prices, what more could you ask for? I did have a perfectly done ribeye steak one night, so non-fisheaters can have fun too! We were visiting the area, so we consulted Cureat and saw Coastal Provisions. We enjoyed our dinner very much. We intended to order a couple of the great looking entrees on the menu, but after Alex told us about the appetizer specials, we decided to order several of those instead! The oyster vichyssoise (can't recall the name) appetizer was great, and the crab claw appetizer was amazing. That broth!!! 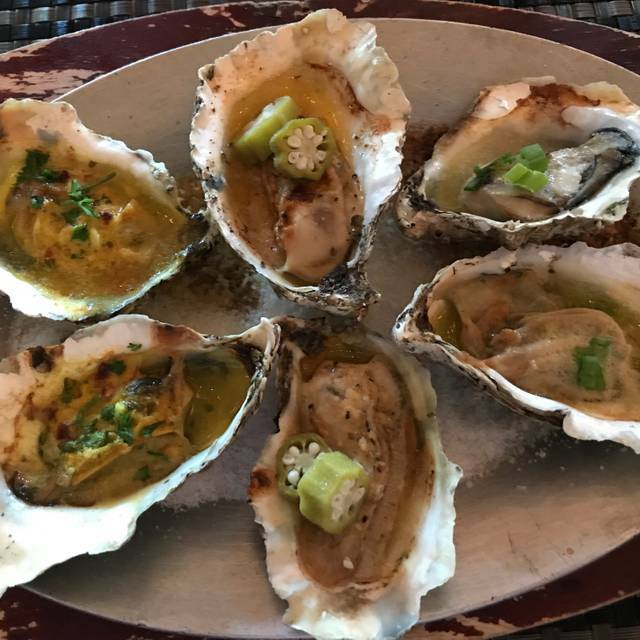 We also had your Oysters Rockefeller--yum! Pistachio tiramisu and Creme Brulee were very well done. Great wine list of course-you have a store full of it! What a great find! Thank you all for a memorable meal! Coastal Provisions is a local treasure! Great food and friendly, competent service. 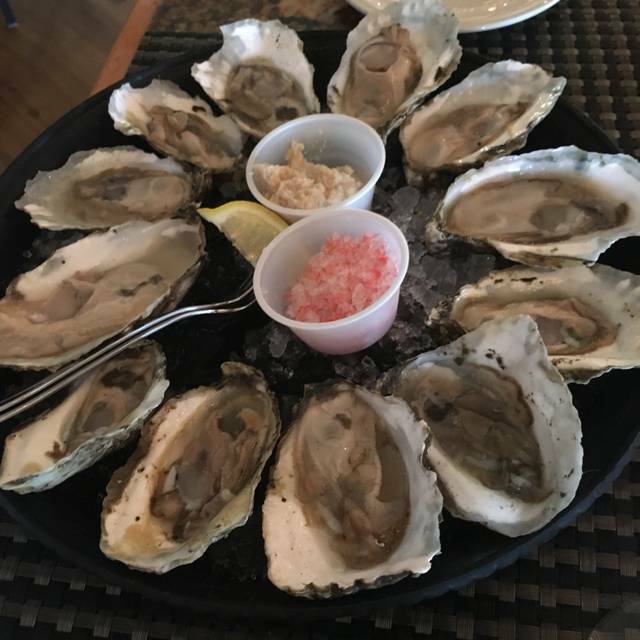 Wonderful selection of oysters and fresh local seafood. Started okay with salad. But fish of the day was so bland and sides average and so $! The veal chop is unbelievable! Tender, delicious. The cheese plate was outstanding. The way they have their wine set up is imaginative. You tour the section of the type of wine you'd like and pick from that case. The price is the same as what you would buy it for, no upcharge! Our server was very attentive and knowledgeable of the food. We will definitely come back while here on vacation year after year. It was really fun and delicious! Only downside was we had to sit outside and there were a ton of flies. But great service and awesome food. Loved it! We had a great dinner here. We showed up early for our reservation and figured we could just sit at the bar for 30 minutes, but they had our table ready and sat us immediately. Our server was great and helped us choose a bottle of wine from the store, which sells it wholesale with no cork fees. We started with the crab dip appetizer which was delicious, then each had a salad (a caprese and a caesar) - both great, then for entrees we had the tuna special and the surf and turf - both were excellent. They both came with mashed potatoes and seasonal vegetables (sweet peas) - also great. We even had deserts - tiramisu and creme brulee. The food was excellent and the server was really nice and knowledgeable. One suggestion - do not be in a hurry, the courses come out fairly far apart, but we appreciated the leisurely dining experience. Overall it was a great dining experience, we would definitely go back and recommend it to others. We noticed the increase in prices with the new menu. Disappointing for the locals. Also hated to see your Wednesday night oyster deal disappear. When we come down to OBX we always stop at least once at Coastal Provisions. The food is fabulous. 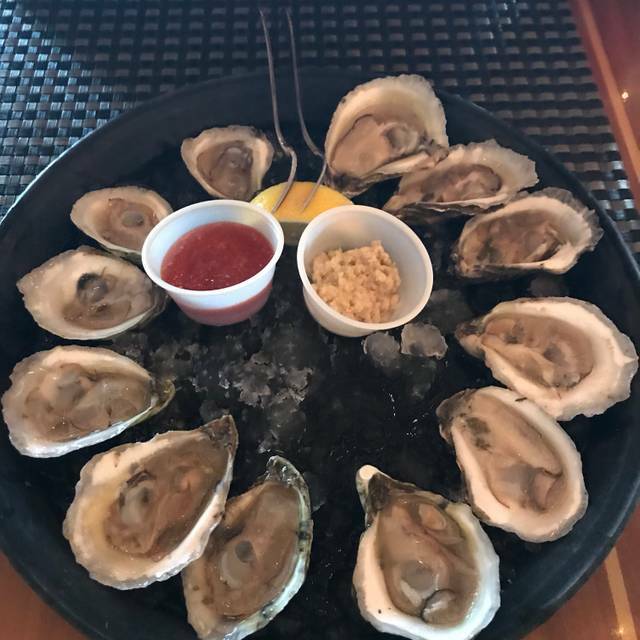 We normally get many appetizers to share like the clams, mussels, and steamed oysters. All the seafood is local and fresh. They usually have several specials that are worth trying. The ambiance is quaint. It is like being in a wine cellar. You can select a wine from the shelves and have it for dinner. The staff is amazing. On our arrival we were informed that our table had a reservation for 2 hours after ours. While this wasn't a problem, we finished before then, it was very unappreciated. Food was good by Outer Banks standards, which is to say it was ok, not great. Skip the crab cakes. The bread dip appetizer is good, as is the cheese plate, though inexplicably one of our cheese arrived melted. The waitress gave it to us anyway, saying "and for some reason it's melted" ! Love that the wine is retail and you can just select out of the case. Will return because there aren't great choices in the Outer Banks, but it would not receive as a good of a rating elsewhere. Definitely have to have oysters if you like oysters, around a dozen types to choose from! The entrees we had we're delicious and there was a wide variety of delicious looking desserts to choose from. I love Coastal Provisions. Consistent quality food. When we are in the OBX our must hit spot, at least once, is Coastal Provesion! I usually stop on the way in and pick up yummy items for lunch through the week, you can’t go wrong with anything there! Lunch and dinner are both fantastic as well. The service is friendly and always prompt. A must try! Delicious! Steaks are perfect! Yummiest desserts! Oysters, and crab cakes, and scallops - oh my!!!! What a fabulous dinner with my cousins! This was their first time at Coastal Pro - and they enjoyed it immensely! Thanks to the excellent staff! Amazing service, surrounded by very good wines at retail prices! The food and ambience were excellent. Another great time at Coastal Provisions. Friday night reservation at 7:15. Table was waiting for us upon arrival. Service was attentive and knowledgeable especially when it comes to oysters. We never felt rushed to finish our meal. We had baked oysters, heirloom tomatoe salad, scallops in pasta. Once again we went home without any leftovers. Food was exceptional. The crab cakes might be some of the best I’ve ever had, and the filet was cooked to the perfect temp. Our server, Michael, was extremely friendly and attentive. The dessert tray was a beautiful and tempting presentation. Food and service were great. My only critic would be the lunch and dinner menu. The lunch menu which ends at 4 PM has twice the selection as the dinner menu. The dinner menu is very limited BUT still good if you want oysters. Great selection of oysters with attentive and knowledgeable service.